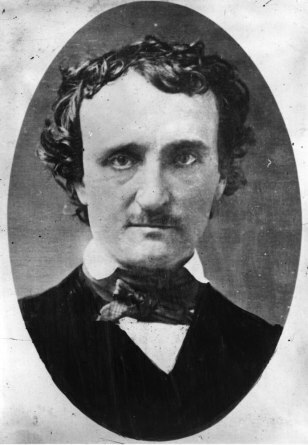 Edgar Allan Poe ( 1809 - 1849 ) is pictured here in life. In death, he recently tweeted, "Emerson called his beloved philosophy Transcendentalism. Sounds like the label one would pin on a nomadic dental hygienist." Oh, snap!